We host a series of weaving and spinning classes every year, where beginners and new members are especially welcome. Our guild also enjoys ad hoc workshops of special interest to members. ​Please note that in order for instructors to prepare enough materials for students registration closes 3 days before the class date on some classes. Members and Non members can now register for classes and pay by one of the following ways:– At the gallery, open 11 a.m. – 4 p.m, Monday – Friday, 10 am – 4 p.m Saturday. – By mailing the registration form. – For Member discounts please pay: in the gallery, place in the Artisans Centre Mailbox at the front door, or do an e-transfer as below. If you cancel your registration within 2 weeks of the class, the fee shall be non-refundable. Cancellations occurring more than 2 weeks prior to the class will receive a refund of the registration fee minus a 20% administration fee. In the case where it is necessary to cancel a class your class will be rescheduled. Members can apply for the Regena Lerke Scolarship. The due date for applications is May 1/2019. 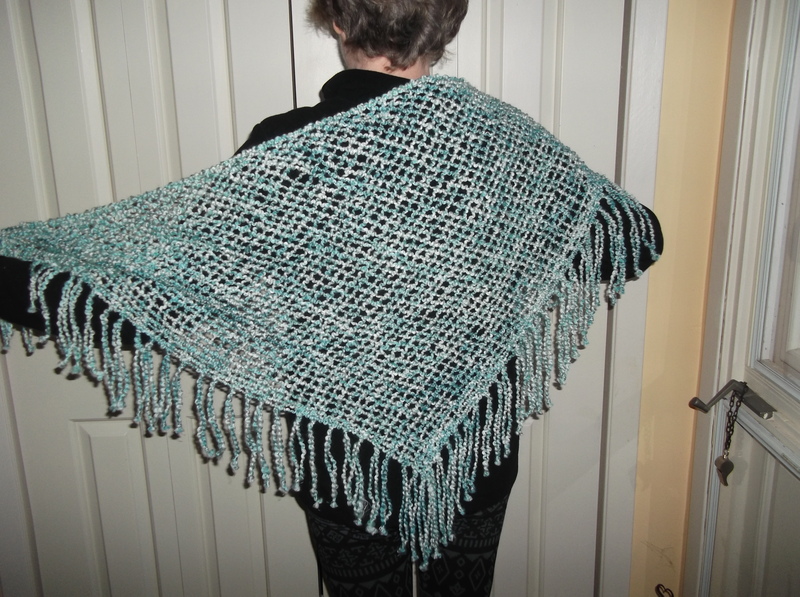 The Peterborough Handweavers and Spinners Guild are teaching classes at the Artisans Centre teaching space on the upper floor at 993 Talwood Dr. Peterborough – next to the Potters Gallery. Check out these great classes – more to come – keep checking. This will be an exploration of block weave structures. We will use a 2 colour warp, and weave with 2 shuttles to create hand towels, or small runner. 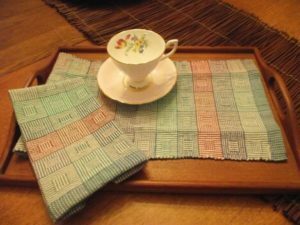 ​Weavers should be comfortable winding a warp and putting it on the loom as they will be bringing a warped loom to class. You will need 4/8 cotton in at least two colours. We will be threading and then weaving in class. ** NOTE: Registrations will be accepted up to May 6th, and then registrants will receive complete warping instructions. This is a great opportunity for spinners to learn more about spinning. The time allotted will give you time to practice new skills in class. Participants are encouraged to bring any tools they may have (eg. hand cards, combs, lazy kate etc.) Material Costs: Material costs are extra. They will be payable to the instructor at each session. 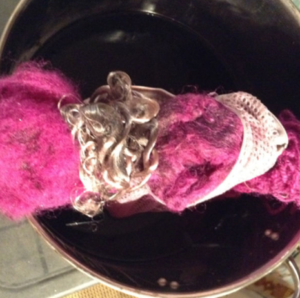 Spinning Pet Fiber – Learn how to spin fiber from a beloved pet into luxury yarn. 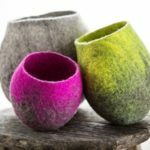 This class will cover washing and preparing fiber, spinning techniques and possible end uses. We’ll work with dog fiber in class, bring cat fiber if you have it. Fiber from other types of pets is welcome — we’ll see what we can do with it! Spinning Camelids – learn how to spin camelid family fibers including alpaca, llama, and camel. 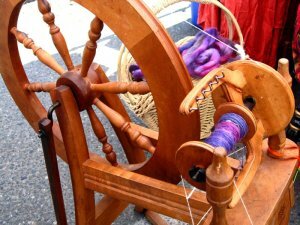 Spinning Plant Fibers – learn how to spin plant fibers including cotton, flax, and hemp. 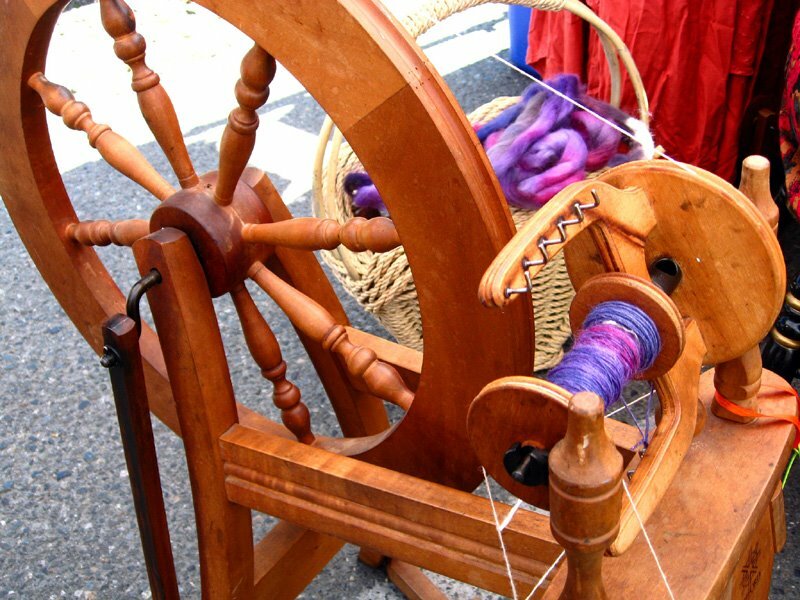 Winter Workshops are for spinners who have taken beginner spinning (or with instructor’s permission) – these workshops assume that participants have basic spinning skills, and are not suitable for those wishing to learn the basics of spinning.Material Costs: Material costs are extra. They will be payable to the instructor at each session. The cost will vary for each workshop. The instructor will let you know the material cost prior to each workshop. COST: $40 per class – bundle 3 or more for $35.00 per class. ACP Cost: $34.00 per class –bundle 3 or more for $30.00 per class. Please use a registration form for these workshops. Note you may register at the Potters Gallery. See the web page for their hours. All dye classes have a maximum of six participants – bring a friend with you to play. ** NOTE: Registration must be received no later than 3 days before the class to allow for purchase of materials, printing of handouts, etc. Thurs., Mar. 28, 6 – 9 pm. 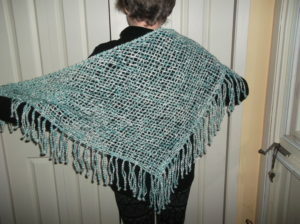 Bring your handspun and or warps (still on warping boards) ready to wrap. Then dye in the amazing colours that lichen produces. Sunday, Mar. 31, 1 – 4 pm. Two silk scarves together. These colours will amaze you. ​Thursday, April 25, 6 – 9 pm. Other sizes of silk and cotton scarves will be available for purchase. 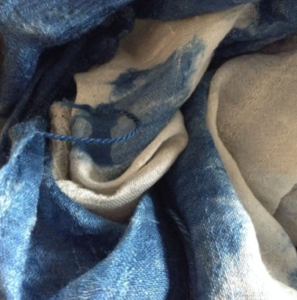 This workshop explores painting using a 2 dimensional wool felting technique created by Kelly. 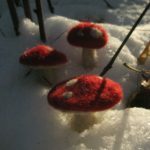 Participants will create their own unique landscape using wet and dry felting techniques. 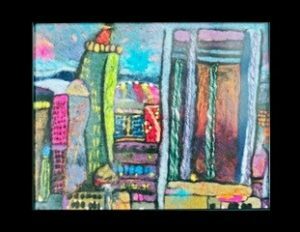 Whether you are experienced or just want to “Give it a Try”, this fun, relaxing workshop will not disappoint. Make something special – A fabulous gift for your mother, friend, or yourself. 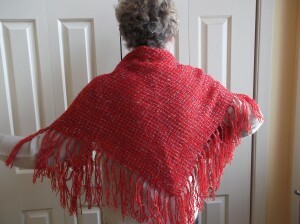 Weave a fabulous, cozy shawl, no loom required. Lots of colour options available. A cardboard loom will be provided for you along with instructions on how to make your own. 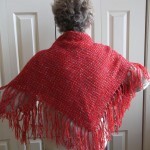 Penny is a very creative instructor who enjoys working with those new to weaving. class to allow for purchase of materials, printing of handouts, etc.